Save BHD 12.50 (50%) – Earn 12 Shukrans What is Shukran? Shukran is the Landmark Group’s award-winning loyalty programme in the Middle East, which allows you to earn Shukrans when you shop any of our brands. Designed to add a classic touch to your home, this attractive wall clock is just what you need. 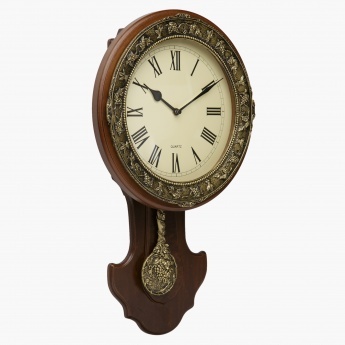 Featuring an antique design, this piece has a round shape and is made from wood. 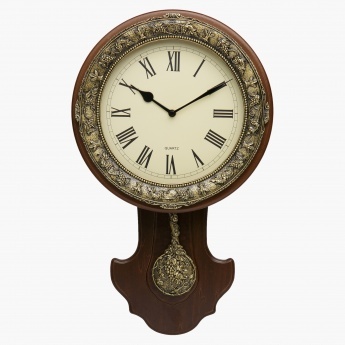 Moulded from a durable and strong metal, this attractive piece has a pendulum to add to its appeal.